With the daily pressures of running a small business, considering your position when you retire is often not on your agenda. But with changes to the pension rules just around the corner, now is the time to take a step back and think about when you want to retire and how your business will operate when you are no longer at the helm. The current state pension stands at £84.25 a week. You have to ask yourself if you could maintain your current standard of living on this amount. With the state retirement age set to rise to 68 by 2045, most people will have to make some form of additional provision for their old age. Over the past few years the pension industry has gone through a very rocky period. The confidence in pension schemes has been very low. Employee pension schemes are available from a wide-range of suppliers, but what about pension schemes for business owners and directors? Before you start to look for a pension, it's a good idea to get a forecast of what your pension is likely to be when you reach state retirement age. Pensions can be confusing so arm yourself with as much information as you can. You can read a straightforward overview of pension on the Money Made Clear website [www.moneymadeclear.fsa.gov.uk/pensions] and even calculate your own pension at: www.pensioncalculator.org.uk. With the changes to pension rules there are now a number of schemes that owners and directors can register with the HMRC. Executive Pension Plans (EPPs) are usually offered by insurance companies that can design the plan to suit your needs. Self-administered schemes (SASs) that are also known as Investment Regulated Schemes are common pension schemes in companies as they offer more flexibility in how the pension fund is invested. Self-invested personal pension plans (SIPPs) are similar to the normal pension plans that millions of people in the UK have. They are covered by the same rules and offer flexibility in how the fund is invested. The unregistered schemes that are available won't have the same tax benefits as registered schemes as HMRC won't offer any tax incentives. 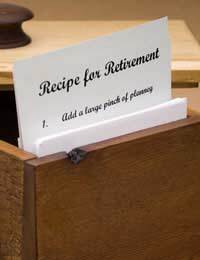 Employer-financed retirement benefit schemes (EFRBS) that were formally known as Funded Unapproved Retirement Benefit Schemes and Unfunded Unapproved Retirement Benefits Schemes. These schemes offer owners a way of topping-up their registered schemes to ensure they have enough in their pension fund when they retire. Talk to a pension expert before taking out an unregistered scheme as the changes to pension regulation could mean you would be at a financial disadvantage if you do. As everyone's circumstances are different, it is difficult to give general advice about which pension would be the best for you and your business. Luckily, there is plenty of help and advice you can call on to help you make the right decision and secure not only your retirement, but also your business. The basic state pension will rise in line with earnings. If you only have one year of national insurance contributions, this will entitle you to some state pension. The number of years you need to qualify for the full state pension will be 30 full years. Whether you gain your pension credits via paid work, or your pension rights are credited, these will all count towards you state pension. Help and advice on all pension matters can be obtained from: www.thepensionservice.gov.uk. A range of leaflets are available from the HM Revenue & Customs website:www.hmrc.gov.uk/nic. To get impartial and independent advice on your pension you can search for a pension expert in your area on the Society of Pension Consultants website: www.spc.uk.com. The Financial Service Authority can also help you get the best advice about your pension, visit their website at: www.fsa.gov.uk. The Pension Advisory Service (TPAS) has two booklets 'Saving for retirement: small business owners' and 'Saving for retirement: the self-employed.' You can download them both from the TPAS website: www.pensionsadvisoryservice.org.uk.